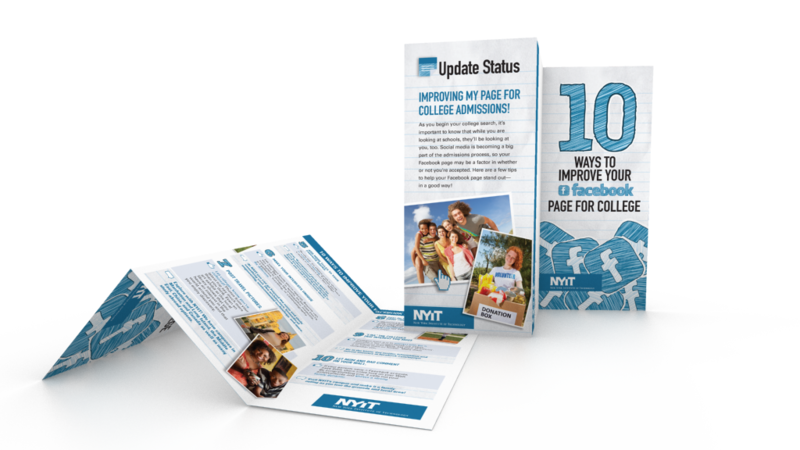 New York Institute of Technology (NYIT) was looking to develop a broader pool of prospects to feed into their Senior Search efforts. 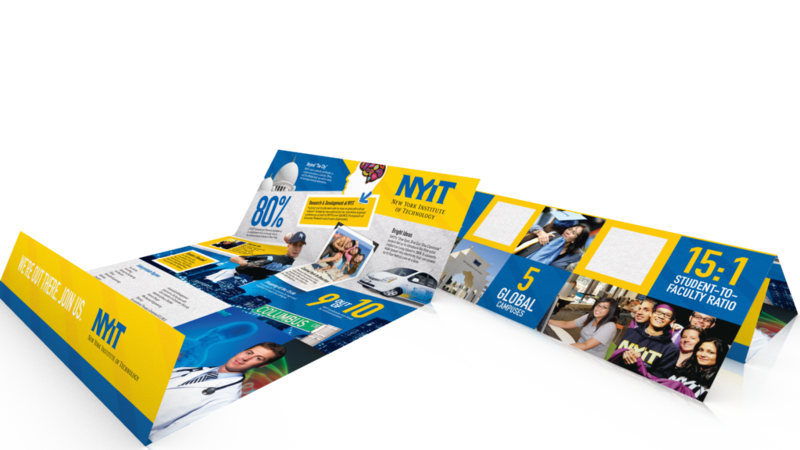 private research university with a strong emphasis on technology and applied science, NYIT needed help identifying new markets for potential students and an overall engagement strategy. Working closely with NYIT, LFO' developed a list strategy that expanded NYIT's search beyond the tri-state area and reached out to select markets with a high concentration of students that fit their academic requirements and campus culture. We created the "Join Me" Search Campaign that featured direct mail, e-communications, and social media placements. These pieces highlighted affordability and value, career opportunities, and NYIT's focus on technology. 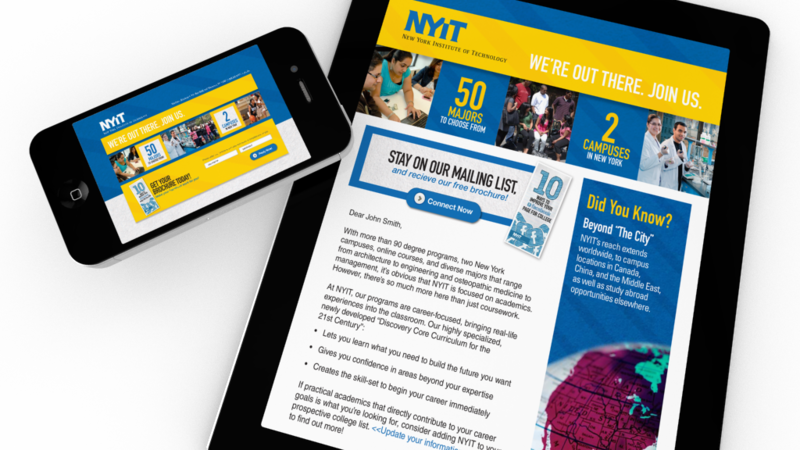 As a result of the "Join Me" campaign, NYIT increased awareness in their name and programs, communicated with qualified students in more than 20 new states, and grew their prospect pool by successfully engaging students interested in science and technology.